Detective novels are exactly my cup of tea, especially ones that take place in a historical time period. In historical fiction the characters usually do not have the technology we have today to help solve their crimes. They have to use pure intellect and clever questioning to find out the 'who done it'. I respect those kind of stories and especially those kind of detectives. 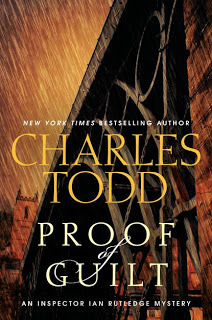 Proof of Guilt by Charles Todd is a great example of that kind of story. It is an historical novel which takes place in the 1920s and stars a man named Ian Rutledge who is an inspector with Scotland Yard. 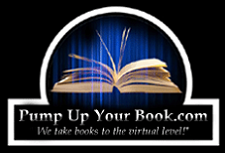 I was overall quite intrigued when given the chance to read and review this book. The title sucked me in and made me want to read more, and the description on the inside cover of the book sucked me in even further. In Proof of Guilt, Inspector Ian Rutledge is sent out on an inquiry regarding a dead man in the town of Chelsea. It looks like an open and shut case. The man has all the marks of a hit-and-run with a motorcar, and it looks like he's been dragged along the dusty road. However, Inspector Rutledge notices that the road bears no sign of anything being dragged across it. No sign that the man could have been hit where the body was found. He deduces, along with the help of a Mr. Belford, that the only plausible explanation is that the man was killed elsewhere, brought to Chelsea, and dumped. The only evidence they find even remotely resembling a possible identification of the dead man is a watch in his pocket. With the help of a jeweler Rutledge knows, this watch is identified as belonging to a man named Lewis French. Mr. French is one of three owners of French, French, and Traynor, a wine exporting business started by his grandfather, Howard French. They are most famous for their Madeira wines, and Lewis French heads their business in London. The watch leads Rutledge on an investigation of French's work life, personal life, and an incident which happened when Lewis was merely a child. It also leads him to many people who had motive to cause French's disappearance and death. I have to admit that this book did confuse me a bit in the beginning. Maybe it was because I had never read any Ian Rutledge novels before, or maybe because I was so intent on finding the killer and was distracted by writing down the suspects and evidence...I'm not sure which. However, as the book went on I became less confused and everything regarding the story fell more easily into place. The ending disappointed me only slightly, but overall it was a very well-written work and was full of red herrings, believable motives, and even more believable suspects. I recommend this book for people who love a good detective novel. People who, like me, love solving a good murder. 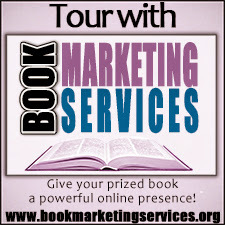 Charles Todd is the author of the Inspector Ian Rutledge mysteries, The Bess Crawford mysteries, and two stand-alone novels. Part of a mother (Caroline) and son writing team, they live in Delaware and North Carolina, respectively. I'm glad to see that you did enjoy this one overall even though there were some things that didn't work for you.